Want it by Saturday 27th April? Order within 22 hours, 55 minutes and choose Royal Mail Tracked 24 Hour at checkout. Sporting a block stripe design this Tonal Stripe Piqué Sweater has been created in 100% cotton, making it comfortable and breathable whilst still giving you a layer of warmth. Designed in a denim-look yarn it features a regular crew neck and GANT logo embroidery. 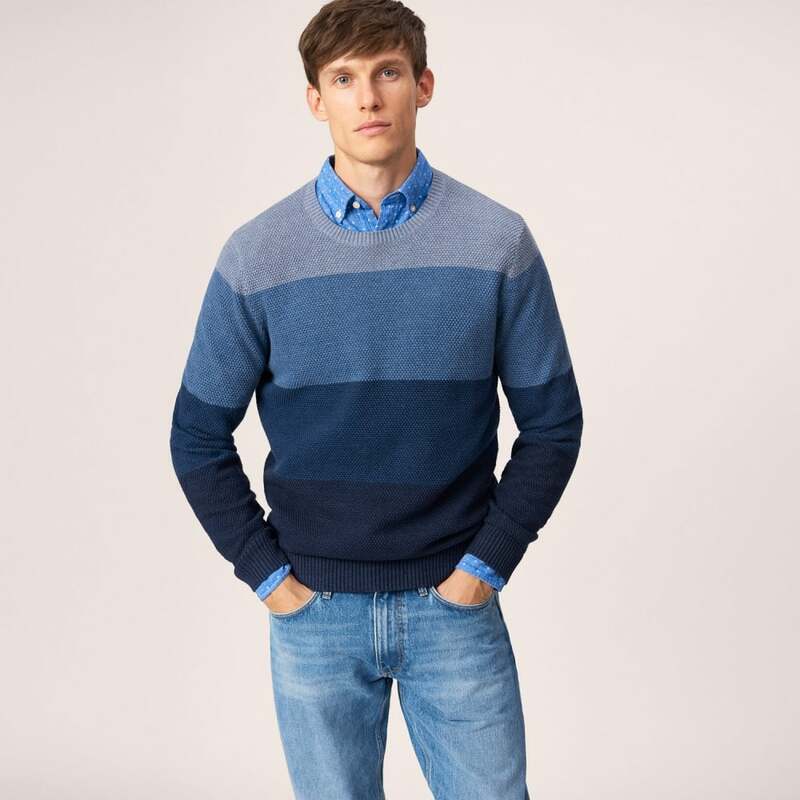 This jumper looks great over your favourite GANT shirt, or on its own with jeans or chino's.